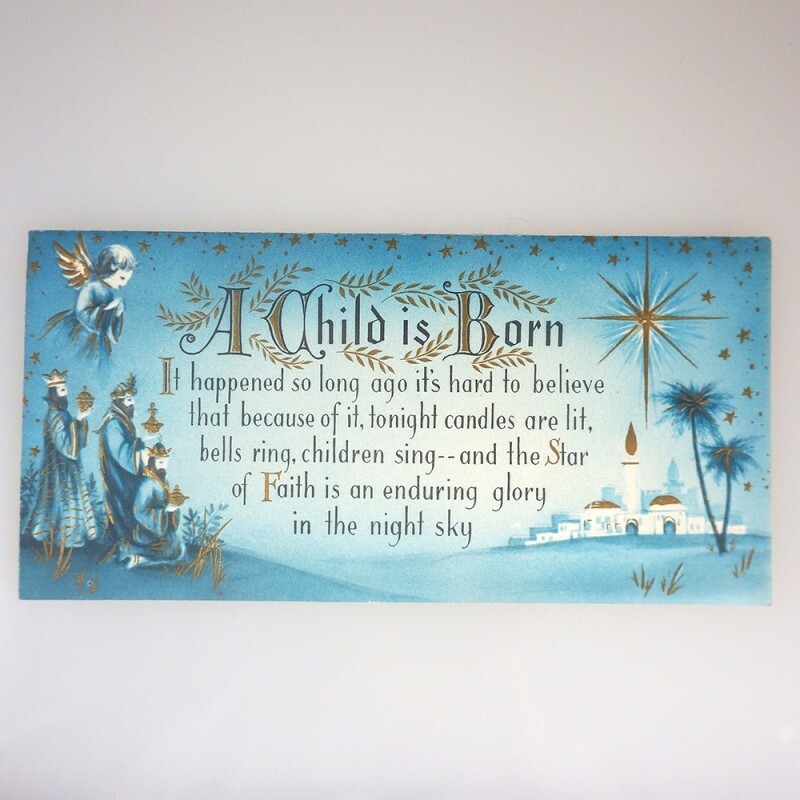 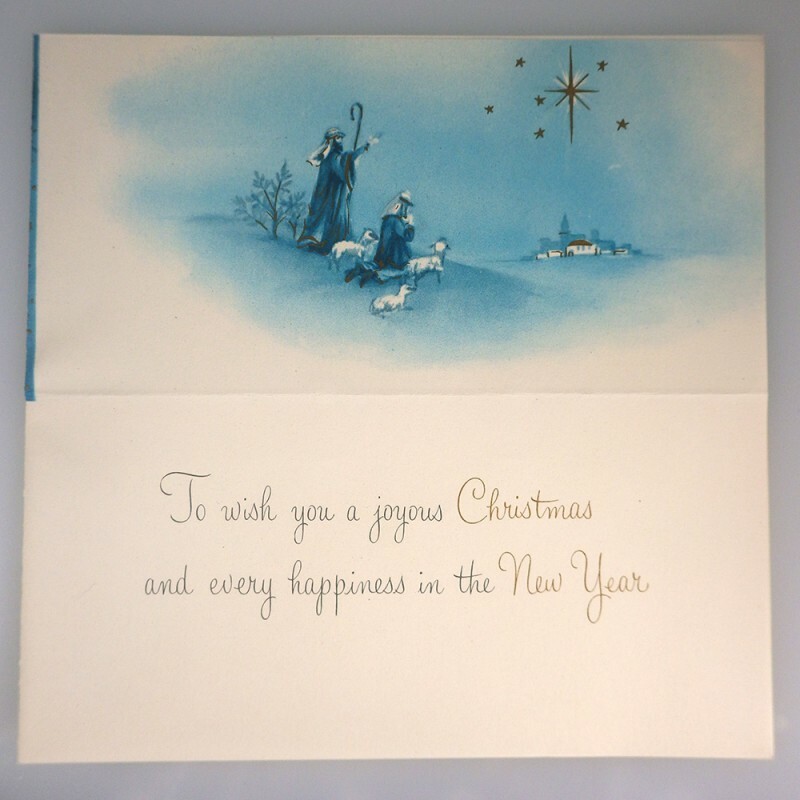 This vintage card is believed to date to the 1950s. Its slim design has a top fold, with the card measuring 6-3/4 inch wide and 3-1/4 inch high, and comes with its original envelope. 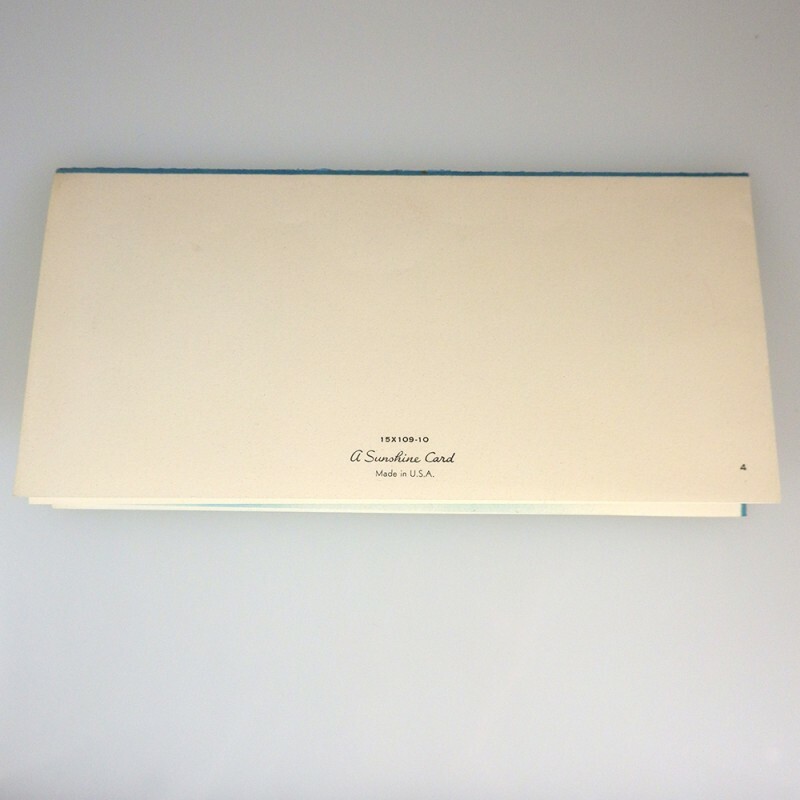 In excellent condition, with no issues noted. 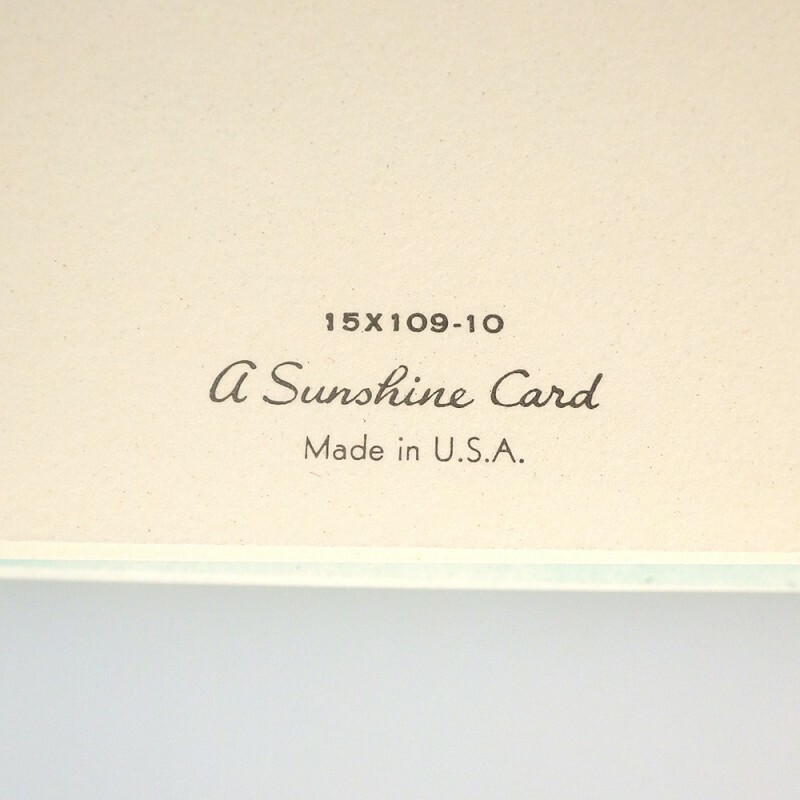 Card back shows 15x109-10 - A Sunshine Card - Made in U.S.A.